If Mark Twain were alive now, he’d be dancing in the streets. Well, maybe not quite. But he definitely wouldn’t have had to establish his own publishing house, just to get his books out his way. One hundred years later and self-publishing is finally commonplace. 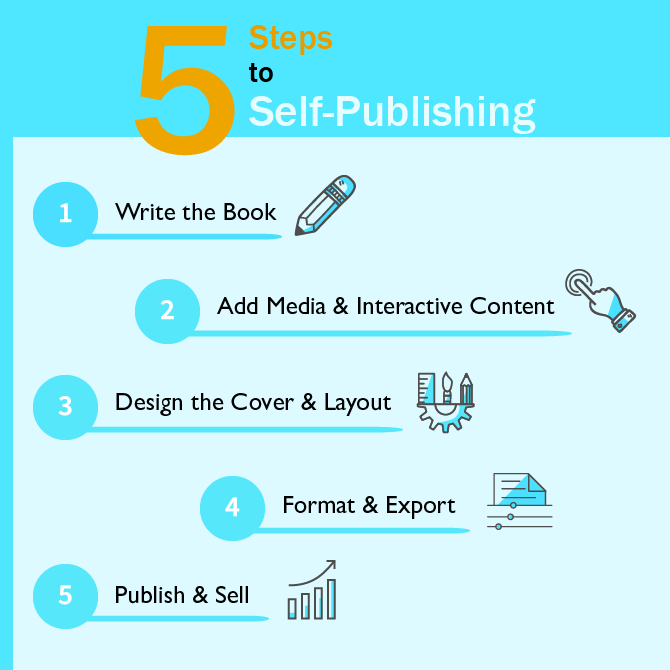 You can have full control over every step in the publishing process, from start to finish. Now, we’ve even gotten to the point where you can do it yourself and still get a lot of help along the way. We’ll give you a run-through of what self-publishing means, what it entails, and how it works. Are you ready? Self-publishing is when an author is solely responsible for the publishing process and costs. Whether you’re doing everything yourself or paying individuals or self-publishing companies to take some of the responsibilities off your shoulders, both lie under the same self-publishing umbrella. The marketing and distribution of the book will vary from place to place, but better be prepared that you’ll be doing your own share. The main advantage to self-publishing is that along with the certainty that your book is going to be published, you get full creative rights to everything within your ebook. When working with a self-publishing company, you can choose a ready-made package of services detailing what you want them to be in charge of exactly. With self-publishing, you keep all the profits, no royalty system. Your expenses will mostly be upfront and will depend on how much you do on your own and how much you hire someone to do for you. The overhead cost of distributing ebooks is considerably less than print on demand books. There are no printing or shipping costs involved. We’ll talk more about profits vs. royalties later. Depending on your selected distribution method your ebook can be in the hands of your readers nearly instantly. Many writers sell their ebooks directly off their own websites, in which case publishing is virtually instantaneous. Now, I get it: some people believe that going the self-publishing route is taking the easy way out, that you’re escaping the emotionally rough road of submitting manuscripts and getting rejections. But you’re not in poor company, John Grisham’s first novel, The Firm, was initially self-published. Other naysayers will try to intimidate you with the unknown responsibilities of taking an untrodden path. Keep this in mind, self-publishing is the fastest growing segment of the publishing industry at the moment making up for at least 34% of current ebook sales in the US. Ultimately, you need to answer the question for yourself. Spend time reading more: Battle of the Titans: Self-Publishing vs Traditional Publishing and Independent and Self Publishing: Do you know the difference? Here’s a brief Pro/Con list for self-publishing to help you decide. You can write about whatever you want, without being forced to focus on what’s trendy and what appeals to the mass market. You don’t need an agent. You have free reign when it comes to creative decisions of the book. But what about the cons? You have to manage everything, which is more work than you might think. You will have to do your own marketing and manage your sales (unless you can afford a marketing or management service). You’ll be going through a route that is unpredictable and doesn’t have as many sale guarantees as a big publisher can ensure. It will cost you for every step of the publishing process (unless you use free alternatives check this list). If your books don’t sell, you’ll end up losing money with nothing to show for it. Self-published books are less acknowledged as legitimate than traditional ones (though as we mentioned before, that’s starting to change). If all of this only cemented the idea that self-publishing is for you, then it’s time for the next stage, what you’ll need to make that happen. To start off, you’ll naturally need a fully written manuscript. Plan it, research it, outline it, write it and revise it. Get feedback from whomever you can. It’s easy to get caught up in the more fun parts of self-publishing: coming up with snazzy titles, designing a book cover that yells “Buy Me!” Or, sometimes the burden of prospective managerial responsibilities keeps us from moving forward. Before you get carried away, start writing. Don’t try to cross too many bridges, before you’ve reached them. If you find yourself coming across many hurdles in the writing process, then reach out. There are plenty of writing groups, workshops, retreats, and even writing coaches out there who can help you finish writing. As you write you’ll learn more about your book. It will grow in ways you never anticipated. Enjoy it. The next crucial step is to find an editor. Not just any editor, but the perfect editor for you. As much as you’d like your manuscript to be perfect, when you work on a manuscript for so long, it will be rather difficult to see any mistakes anymore. All of it will blur in your mind, and the best way to make your work more polished, professional and ready to be published is by using a professional editor. While it may seem that editors merely correct your grammar, punctuation and accidental typos you missed, an editor’s job goes much further than that. Editors will look at your book from the point of view of your readers (all kinds of readers). They’ll advise you on what’s missing, what needs further development, organization, and style. Advice that a machine can’t give you. Otherwise, a simple app or extension such as Grammarly would have done the trick, right? 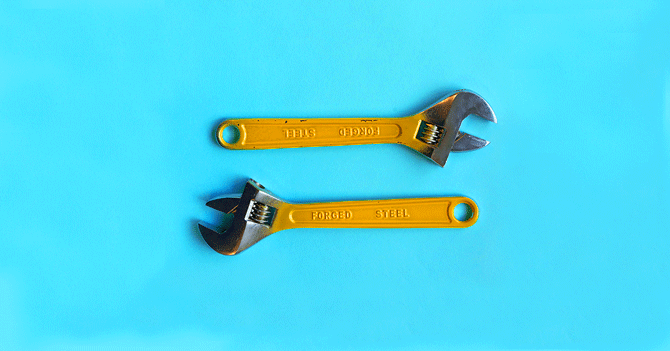 While proofreading tools are definitely valuable, you still need someone who believes in your vision and your story that can suggest alterations that will fit your book. Sites like Servicescape, Reedsy, Fiverr, and Scribendi can help you find the right editor to help you out. The prices will vary from one editor to the next and depend on the size of your novel, genre and the speed with which you want the job done. Start by scouring reviews of editors. Then, try out some editors with just a few pages or chapter. Until you find the right editor for you. The best thing about creating an ebook is all the possibilities that can come with it. Simply adding/embedding images, audio and video will make your book come to life. Adding polls or live tweet widgets will make your ebook engaging. If you were considering distributing your ebook as a pdf consider using other formats, like EPUB or ebook apps, that will allow your ebook to engage and captivate your readers. Besides your synopsis and title, your book’s cover helps you attract more readers. As much as the adage says to not judge a book by its cover, let’s face it, a good cover catches the eye of a reader faster than a synopsis. Check out The Ebook Author’s Guide To Images. Since most writers are better equipped with writing rather than design, then it would be great to find a professional designer to help attract readers and grab their attention before they can go on to the next book. You can find people who will help you with sites like the ones we mentioned before, Reedsy and Fiverr, but also Book Baby, which has some editing options as well. There you’ll be able to ask for samples to see the kind of work they do and choose the one that fits your price range. If you happen to have a talent in design as well that you want to make use of, you can head ontoInDesign, Canva, or Spark and play your hand at one if you’d prefer. These apps can offer you templates as well as the tools and complete freedom to come up with the cover that suits you. Note: ebooks only need a front cover no spine or back. There are plenty of design decisions to make for the inside of your book. Layout and typography for starters are integral for a professional feel to your ebook. If you decide to find a freelancer or a self-publishing service, keep in mind that generally book cover and interior designers are not the same people. They are two different types of designers with different fields of expertise. Make certain your interior designer is familiar with the format specifications of the major retailers. Which brings us to our next topic. Most retailers will have specific instructions and a guide on how to format the contents of your ebook. Here are the guides provided by the major outlets. If you find formatting your ebook difficult or tedious, this is one of those self-publishing tasks that you’ll find plenty of companies ready to do for you, for a fee. You’re done with your ebook the only step left is to get it off your computer and to your readers. What will you send them, surely not a Word file? There are different factors that will determine which format you choose for your ebook, like whether or not you included interactive content. Ultimately where you distribute your ebook will determine the file types you need. The iBooks store will only sell EPUBs or their own file format, but Amazon’s Kindle Direct Publishing will not take EPUBs, instead they’ll take MOBI. For more details on ebook file formats see The Essential Guide to Ebooks and Ebook Apps. Although this is the final step in the process of creating and distributing an ebook. I urge all writers to consider their distribution goals and required file types at the beginning. As it may affect your decision on which ebook creation software to use. iBooks Author creations can only be sold on the iBooks Store like we mentioned absolutely useless if you want to sell your ebook on Amazon. If you find yourself in this bind, there are plenty of conversion services available to convert your ebook to the desired file types. For most ebook conversions that may be your best option. The iBooks example though is an exception, as the license agreement does not permit the distribution of the ebook created with their software anywhere other than the iBook Store. I recommend picking an ebook creation software that exports to multiple formats. So you can have the same ebook ready to distribute via multiple retailers with little to no extra effort. Kotobee Author provides an extensive variety of options, see the complete list of ebook formats. You can go to websites such as NetGalley or Edelweiss to get bloggers to read and review your book. Find an online Book Tour organizer to help spread awareness of your book, but they’ll all cost you. An alternative would be to find some bloggers/readers off of platforms such as Goodreads, Pixel of Ink, Inspired Reads, or Kindle Reader, that may be more than happy to do it for free. Generally, ebooks do not require an ISBN, and most self-publishing platforms will assign unique identifiers to them, meaning it’s one less thing you’ll have to worry about. But, it may be that you’d like to enter a competition for a book seal award and an ISBN is required. So, if you’d like to have an ISBN for any reason, you can refer to this link here. This type of self-publishing is dependent on you as an author handling all the book conversion and formatting using an ebook publishing app, such as Kotobee Author, iBooks Author, Scrivener and Calibre. In addition to that, you’ll need to contact retailers yourself or find middlemen, aggregators, to do that for you. But we’ll talk more about that below. Though, for simple distribution that you can personally do on your own, you can actually sell your ebook directly from your blog or website. If you have a WordPress Blog, you can use the Gumroad widget. On your website, you can set up a payment gateway, such as Paypal, to handle payments. Another way to do it solo is by exporting your ebook as a desktop, web or mobile app. Your ebook mobile apps will be sold from the Apple App Store or the Android Play Store. Read other author’s stories here and here. As for distributing your ebooks, you don’t actually need an agent to do so as with traditional publishing. There are online retailers that accept submissions from you right away, some of whom just happen to be Amazon, B&N, and Kobo. There are other retailers, however, such as Scribd, OverDrive, Google Play, and Apple Books. You can contact them directly after having formatted and converted your ebook as per their specified requirements. If you find coordinating and communicating with multiple retailers a hassle or waste of time, we recommend looking into aggregators. They will help you distribute your ebooks via different online retailers and even library distributors. The best part about them is that they consolidate all your sales and profits into one report, instead of going to several sites. While they can be very helpful, they also take a cut of your sales. If you’re not familiar with aggregators, read Everything You Need to Know About Aggregators. *KDP (Kindle Digital Publishing) Select is the exclusive alternative to KDP, meaning you won’t be able to sell your ebook on any other platform, however, you’ll gain a lot in return. You’ll be able to reach more people on Amazon and make more sales, as your book will be available in more countries such as Brazil, Japan, India, and Mexico. It will be part of Kindle Unlimited and Kindle Owners’ Lending Library. I get that you’re nodding your head right now, like okay but is it worth limiting yourself to one platform instead of going wide with other platforms when KDP can be good enough for now? Honestly, yes, it has its advantages for sure. Consider the following from the Author Earnings Report for February 2017: Amazon has more than 80% of the market share in the large English-speaking countries. It’s worth keeping in mind. As for distributing your work, the aforementioned platforms can help you on their own sites, but to publicize your work all over the web, you’ll need to do that on your own. Read some tips on how to market your ebook without spending a cent. We hope this article has helped make things a little easier for you. If Mark Twain were with us now, would he be writing The Adventures of Huckleberry Finn and Tom Sawyer on Twitter? Independent and Self Publishing: Do you know the difference?